I had fun putting this card together. The supplies are from a card kit, and I thought it was really cute! 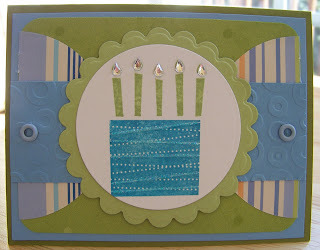 All I added to this was the cardstock (SU Old Olive and Certainly Celery) and the Cuttlebug embossing folder. I used the sketch from Card Patterns this week. It's a neat one! Cute Colleen, I love the "flames" on the candles! 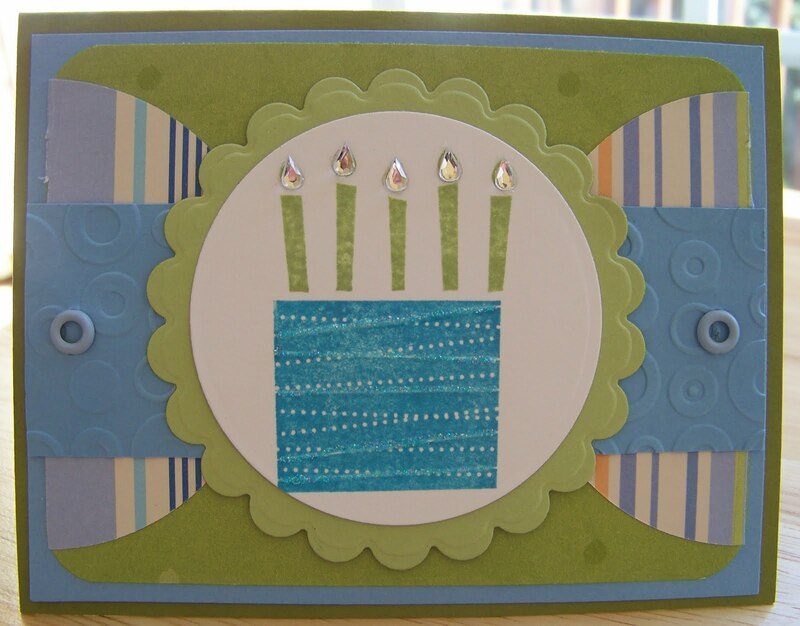 What a fab card kit. That sketch is cool.. neat to see something so different! Wow...that's awesome...I just love all the layers.